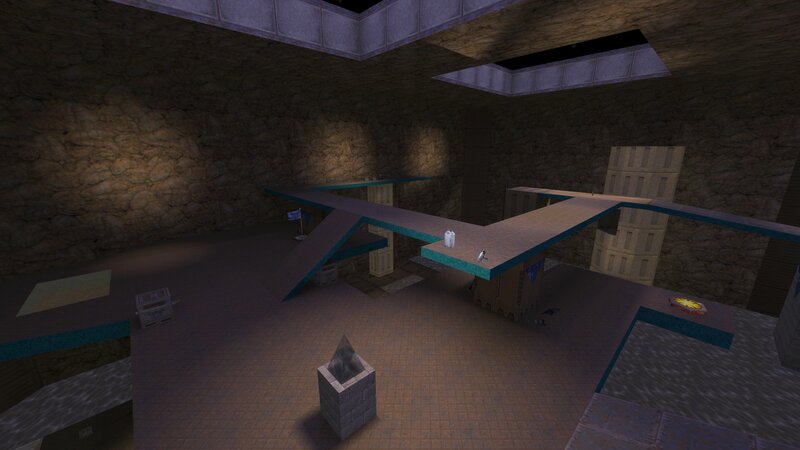 Macanah and I have collaborated on a new Capture the Flag map caleld CTF Burnhole. 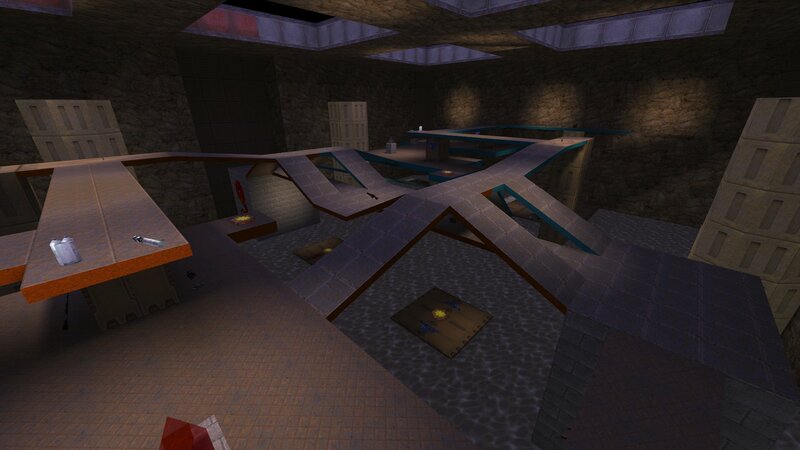 It is an open, medium sized, map that is a remake of one of Mac's Quake 2 maps. There are several paths to the other team's base or you can drop down to the water below to get there too. There are also four teleports in the map that can be used to get you closer to the other team's base. 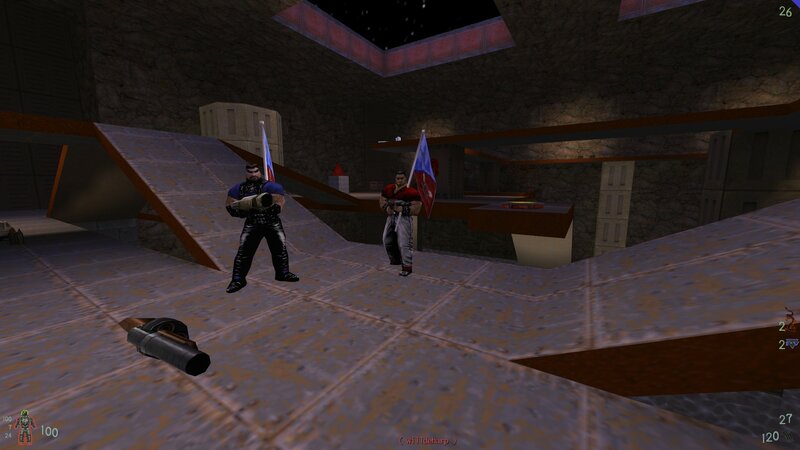 The map uses all Quake2 textures, has ample weapons and items, and there are two spawn rooms for each team. Players spawn in one of these rooms then exit to the main map. It was tested with several people yesterday and they all gave the map a thumbs up. You can download CTF Burnhole from here.